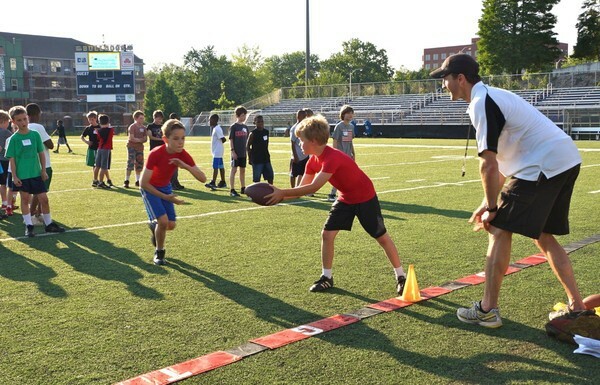 Flag Football Training Camp | South County Sports Club, Inc.
SCSC offers many youth sports in our programs, from basketball, soccer, volleyball, and softball, but how much do you know about different sports from across the globe? SCSC will be introducing you to a new sport... Flag Football! Participants will compete against other flag leagues in the area, including teams ftom other surrounding areas. SCSC Flag is open to boys and girls, ages 6-16. Players must be at least 5 years old and no older than 16 as of April 1st of the current year. Divisions/teams are coed and grouped by age ranges (6 - 8 year olds, 9 -11 year olds, 12 - 16 year olds). The final number of divisions/teams will be determined by the number/ages of players that register for the season. To be placed on a team, attend the player combine (skills drill). All registered players will be assigned to a team; the combine is to ensure player experience/skill levels are evenly distributed across teams. Each team practices once per week. Coaches will let parents know what day and time once teams are assembled. Games are played on Saturday. Any make up games are made up later in the season typically during the week with playoffs and championships starting in June.